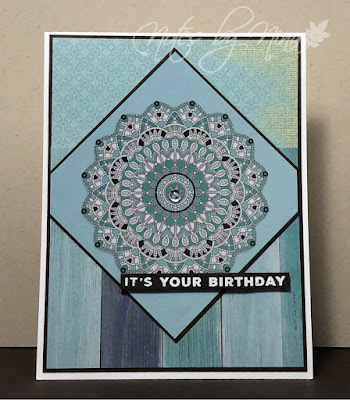 I was not sure what to do with these very cool doily like prints in the back of my KaiserCraft 6x6 paper pad so I decided to try something a little different. 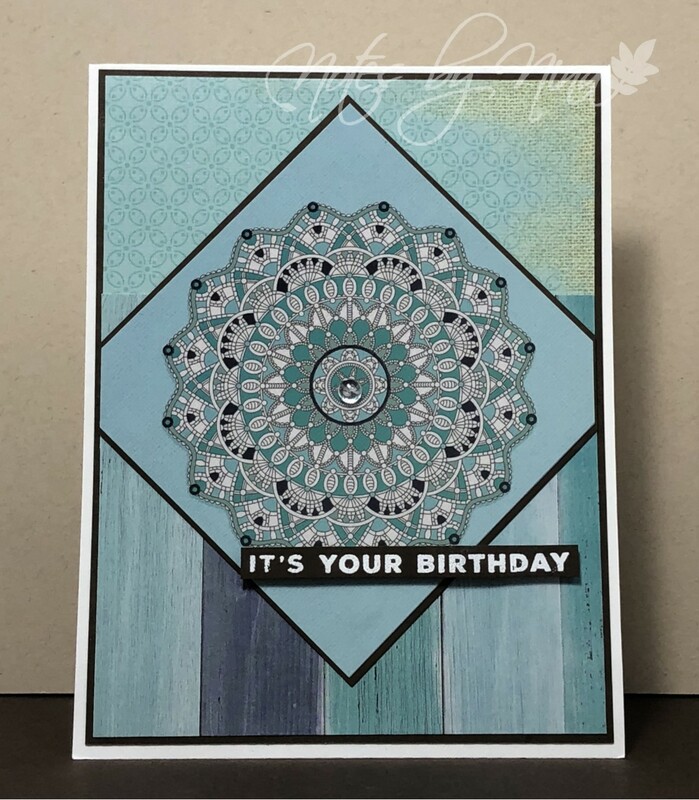 I cut the paper in a diamond shape and added a layer of brown cardstock. 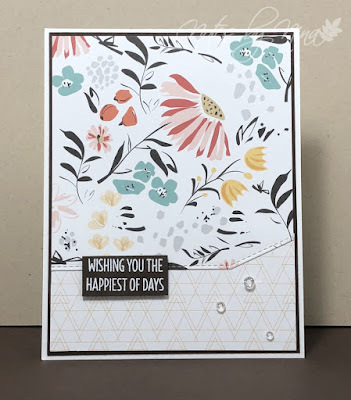 I used some of the other prints from the pad to create the background. The sentiment is heat embossed in white on brown cardstock and popped up with foam tape. I added a gem to the center of the main panel to finish. 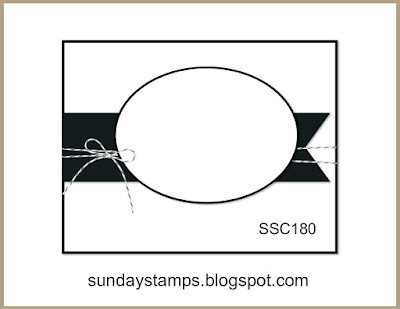 Supplies: White and brown cardstock, Designer Paper - KaiserCraft, Simon Says Stamp - Big Birthday Wishes, gems. 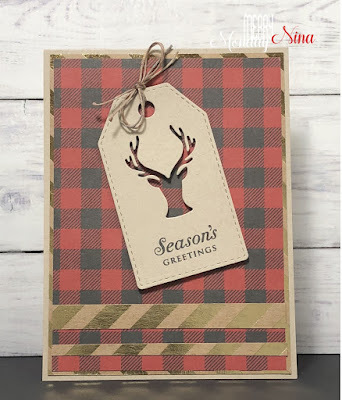 I love these pretty papers, the prints are delicate and simple. I added a layer of brown cardstock to create a dark mat. 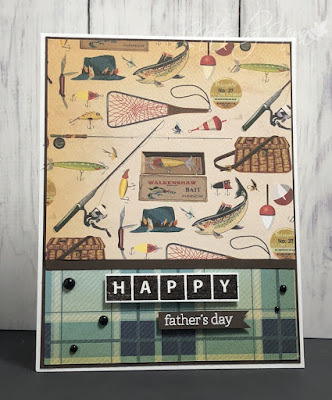 I used an edge die to cut an angle in the paper and to add a stitched edge for decoration. 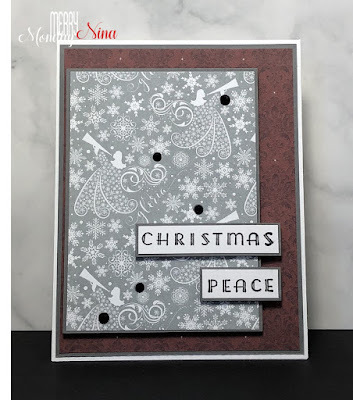 The sentiment is heat embossed in white on brown cardstock and popped up with foam tape. I finished with some gems. 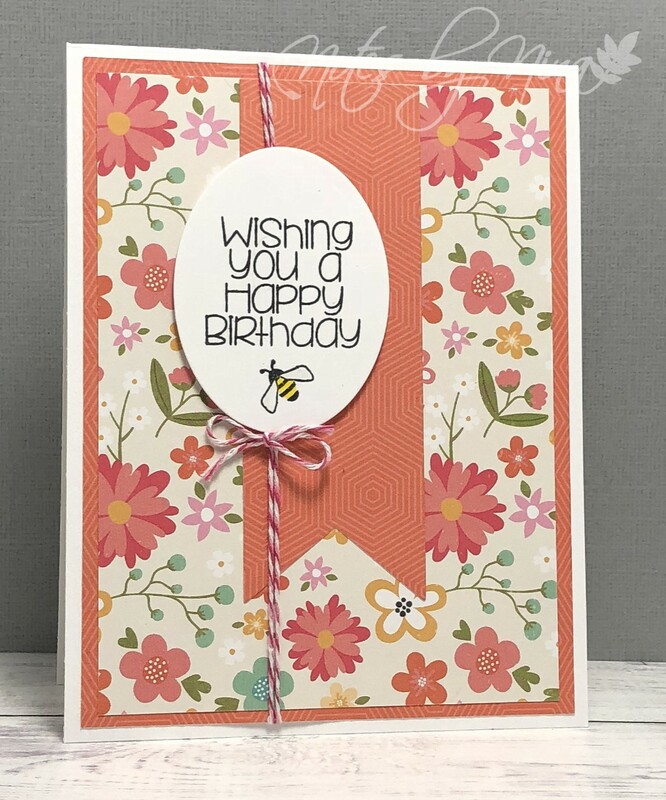 Supplies: White and brown cardstock, Designer Paper - Pink Fresh Studio, MTF - Birthday Sentiments, gems. 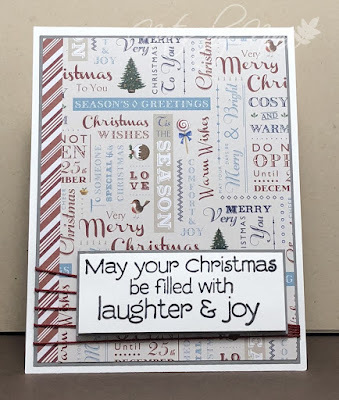 This morning I had some time to pop into the craft room for a little while. 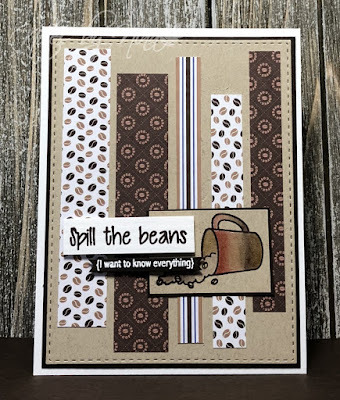 My sister Barb encouraged me to play along with the current Just Add Ink. 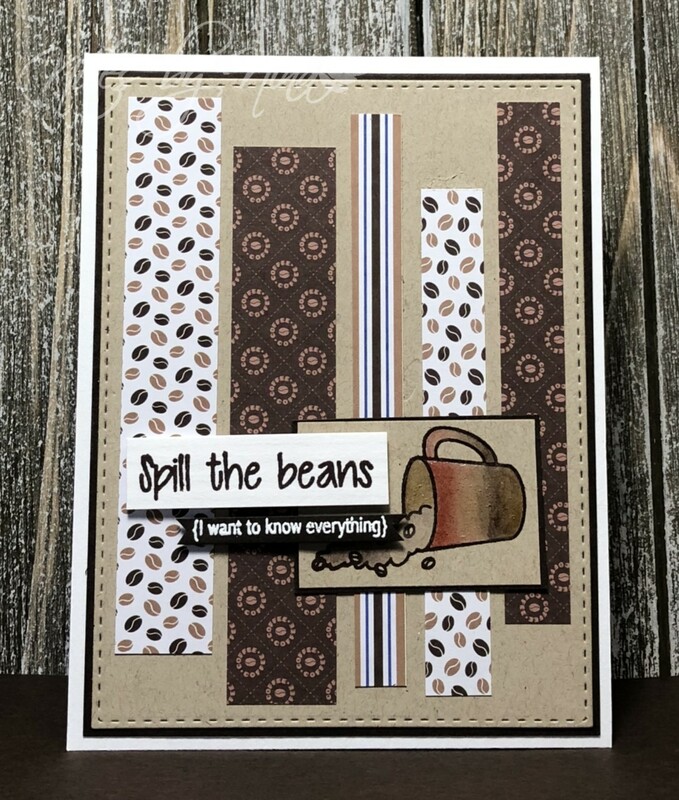 I had a vision in my head of how I wanted my card to look... this was not it. I can not say I am disappointed in how it turned out because I kinda like it. 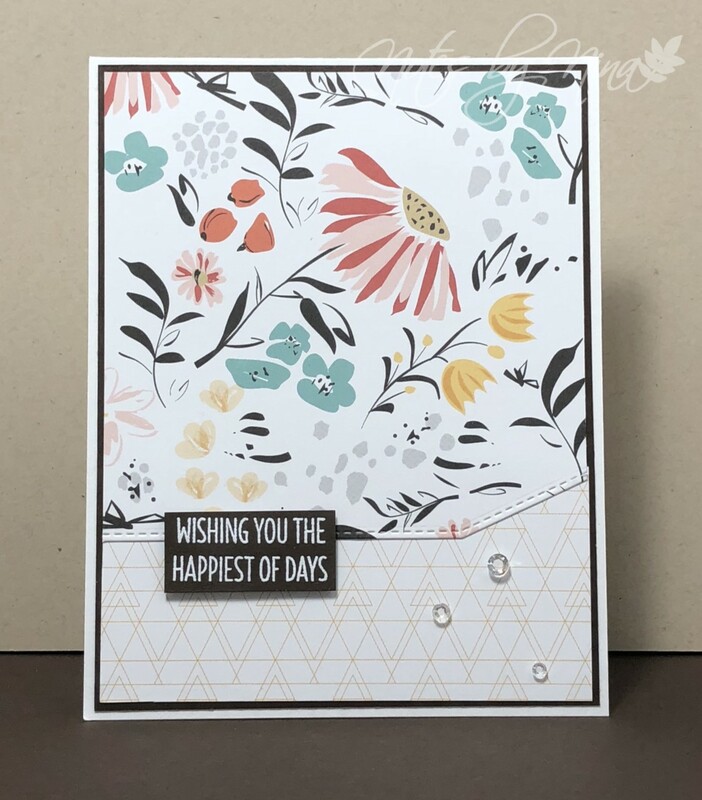 I love the cool papers, I used lots of foam tape to pop up the layers and frames and I finished with the simply stamped sentiment and some clear dew drops. 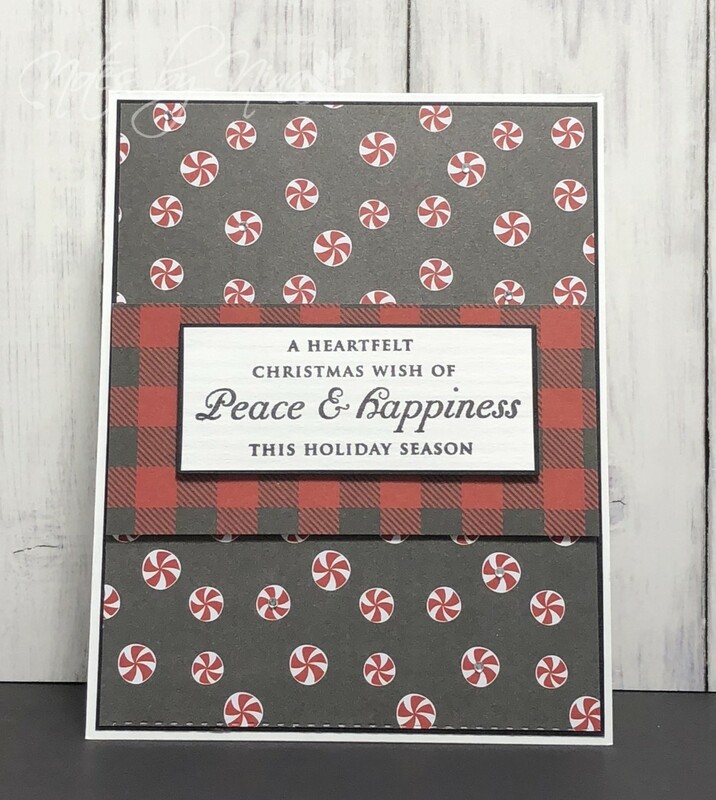 Supplies: White and black cardstock, Designer Paper - Ella & Viv, MFT - Gift card greetings, Poppy Double stitched Square Frames, dew drops. 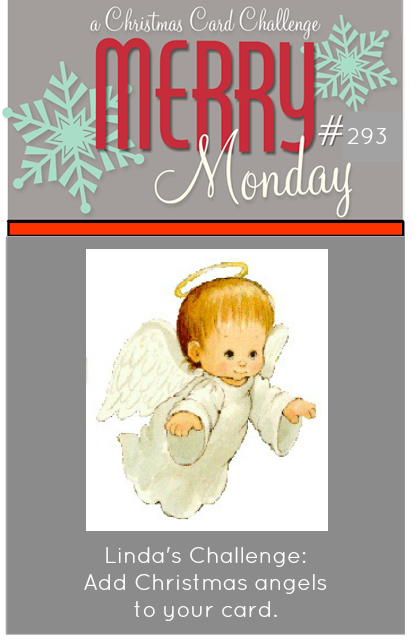 We have a new Merry Monday Christmas card challenge, Marcia is our hostess and her challenge is to Use the inspiration photo for your Christmas card. 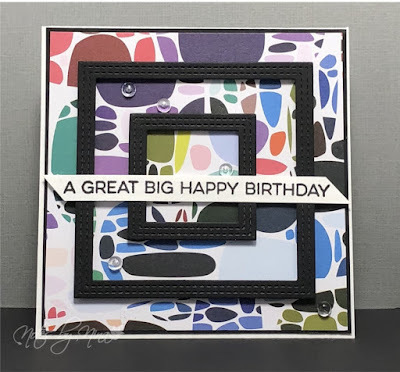 I used a simple layout for this card, adding a layer of black cardstock behind the DP. I popped up the plaid section than did the same again with the sentiment. I finished by adding gems to some of the candy swirls. 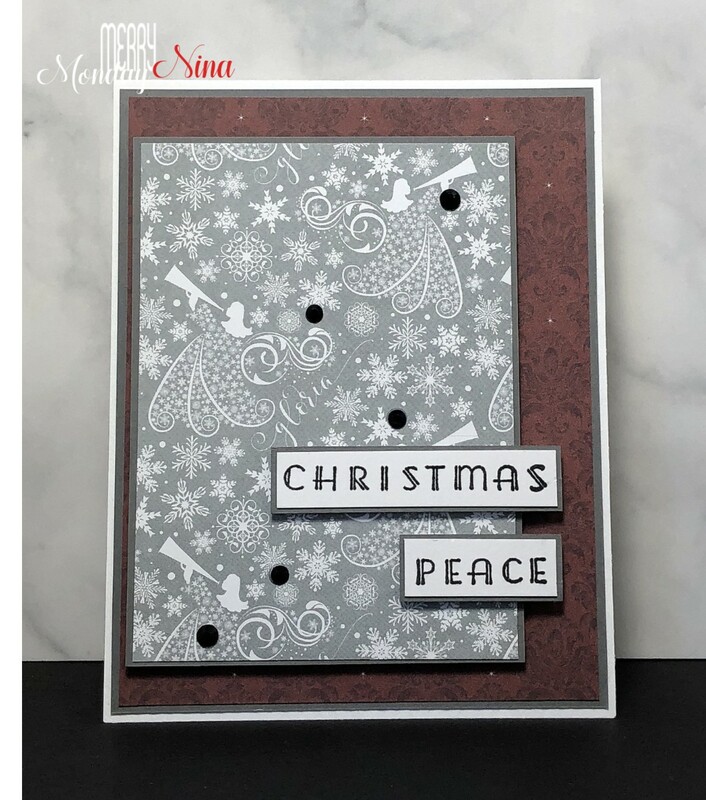 Supplies: White and black cardstock, Designer paper - American Crafts, Papertry Ink Holiday Wishes, gems. 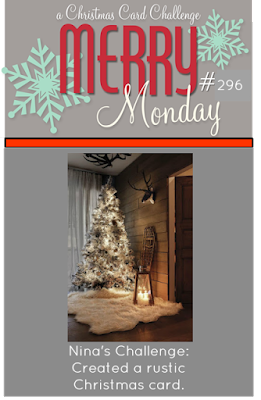 Come and play along with the challenge, stop by the Merry Monday blog to take a look at all the great inspiration created by the rest of the Merry Makers. 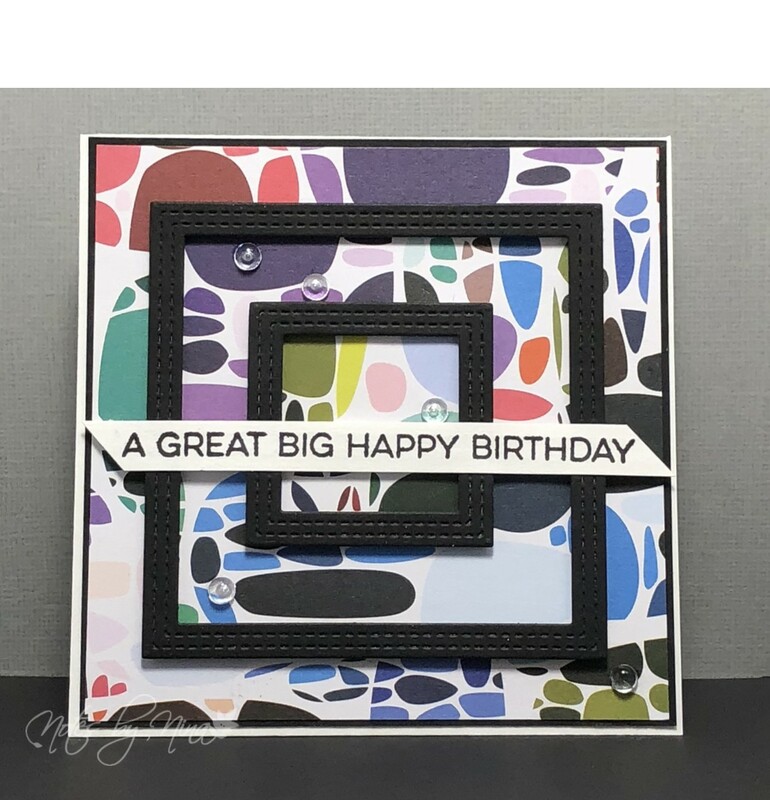 I love this layout for cards, it adds interest yet it is not complicated to achieve. 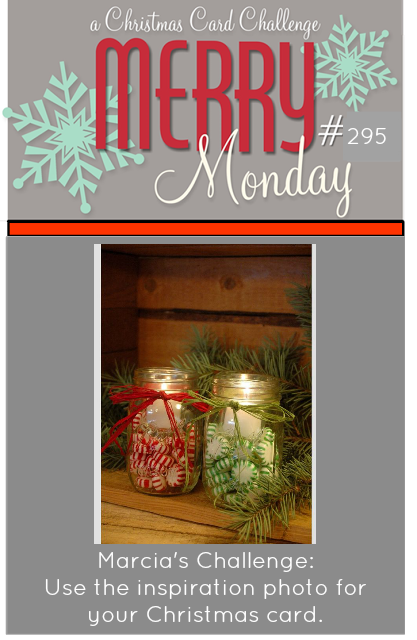 I cut the top panel and used a stitched die cut to add the angle. 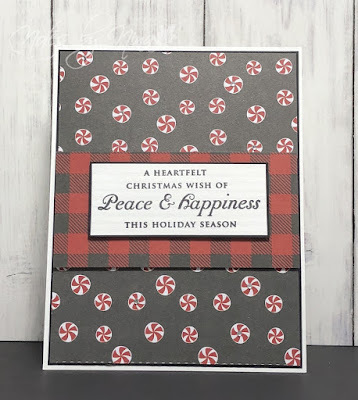 I stamped the sentiment and popped it up with foam tape. I finished with some gems. Supplies: White and black cardstock, Designer Paper-Echo Park, Papertrey Ink-Birthday bash Sentiments, misc die cuts,gems. 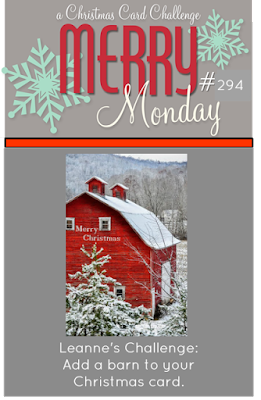 We have a new Merry Monday Christmas card challenge, Leanne is our hostess and her challenge is to Add a barn to your Christmas card. 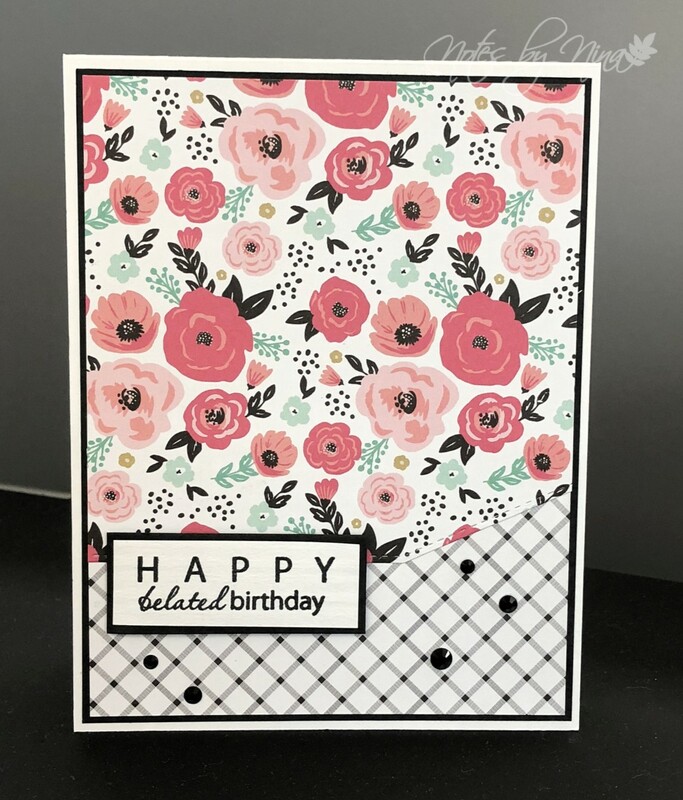 I had some scraps of DP on my desk that worked together for my card. 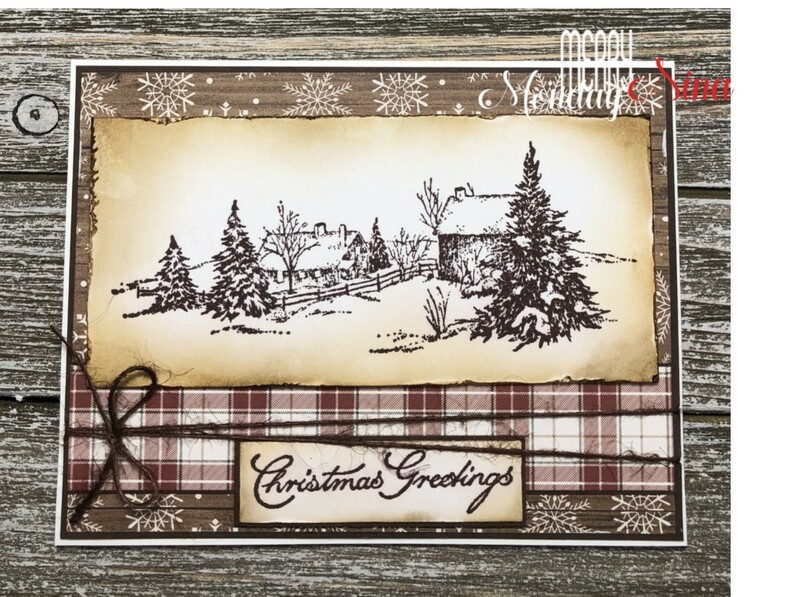 I stamped this scene the added inking to the edges. 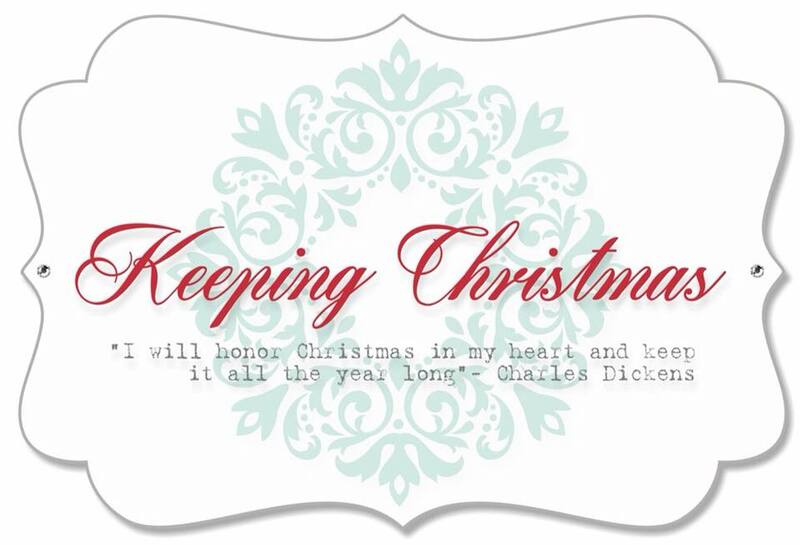 I did the same for the sentiment and popped it up with foam tape. I finished the card with some twine. 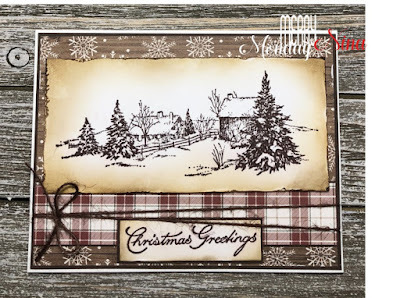 Supplies: White and brown cardstock, Designer Paper - Unknown, Serendipity Stamps-Winter Farm, Cornish Heritage Farms - Vintage Christmas Expressions, twine. Come play along with the challenge, stop by the Merry Monday blog to take a look at all the fabulous inspiration created by the rest of the Merry Makers. 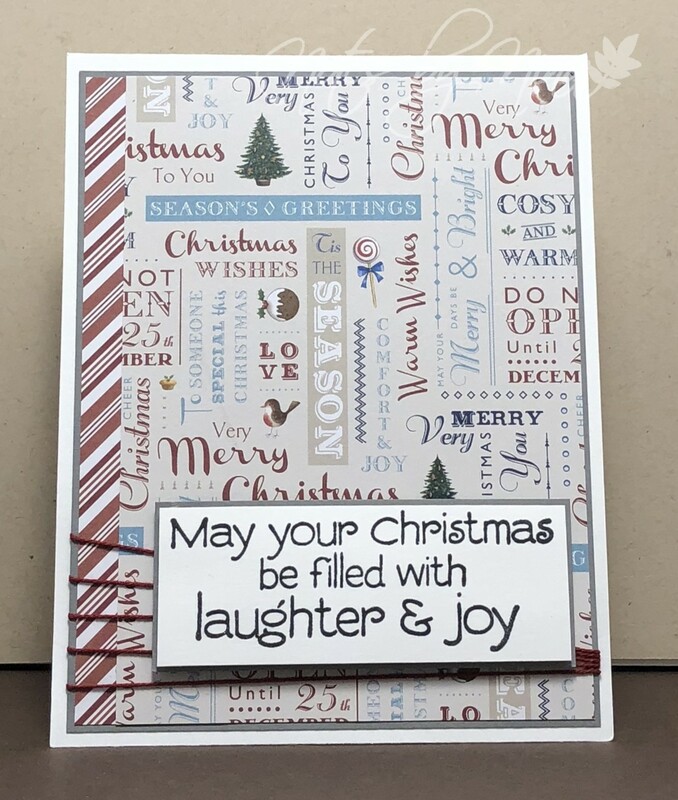 I was so happy to get into my craft room today, I have not created in way way too long. 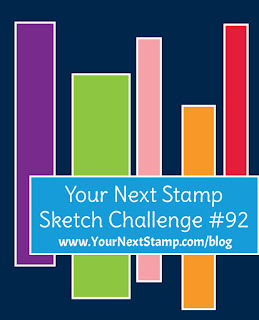 My sister Barb encouraged me to join the current Sunday Stamps challenge. 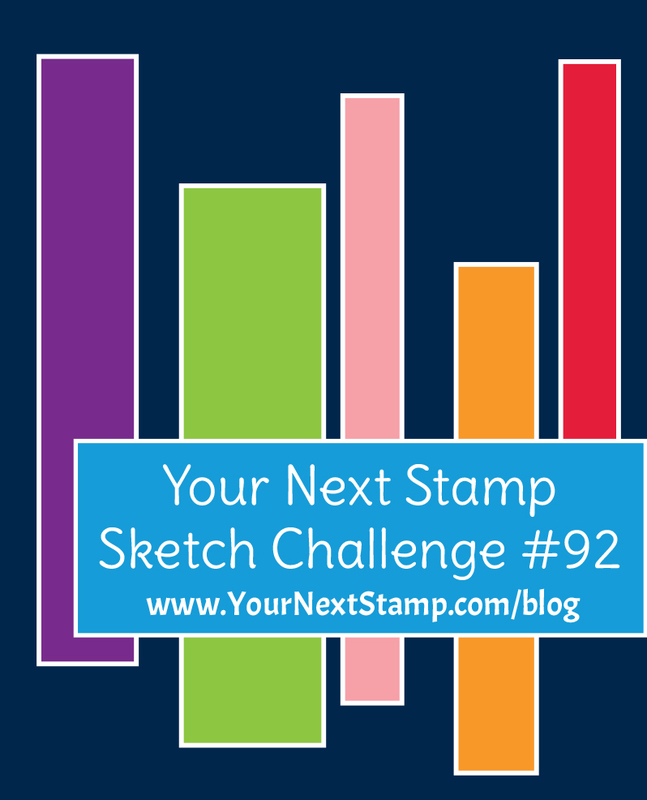 I don't think I have played along with this challenge before so of course, I could not resist. I am the first to admin that ovals stump me, not sure why but I think this one turned out ok. 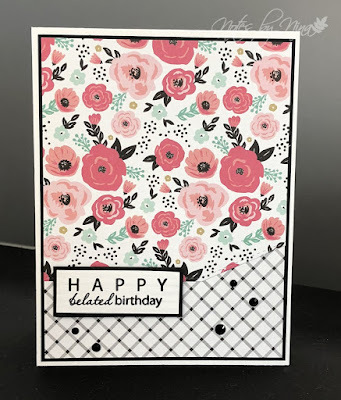 I used this pretty double-sided floral paper. I die cut the oval and large flag then stamped the sentiment. I added some twine and when I was frustrated by the embellishment.. do add a butterfly, sequins or gems but nothing seemed to work. This little bee saved the say ;). Supplies: White cardstock, Designer Paper-Echo Park, CC Designs-Birthday Wishes, Paper Smooches - misc die cuts, twine.